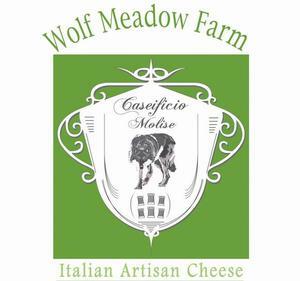 Wolf Meadow Farm is a small production artisan cheese facility in Amesbury, MA We are dedicated to crafting Italian cheeses in the old-world caseificio tradition using time-honored methods passed down from generations of cheese makers All of our cheeses are made by hand and use milk from Artichoke Dairy in Newbury, MA that is acquired daily. Our cheeses are available at the Boston Public Market and at our retail store in Amesbury, MA. Knowledgeable and helpful salesperson. Cheese was great! The cheese is great and so fresh! Stopped by the Wolf Meadow Farm in the Boston Public Market and it was great! The girl behind the counter was very helpful, the mozzarella was out of this world and the wine jelly was perfect with it!